The School Olympic Days sailing event has been hailed as a great success after 72 young sailors took to the water at Mussanah Sport City. The two-day regatta – held in ideal sailing conditions – resulted from a new partnership between Oman Sail and the Ministry of Education after sailing was approved as an extracurricular activity for government students. Sailing joined swimming, badminton, chess and track & field as one of the sports included in the wider four-day School Olympic Days event. 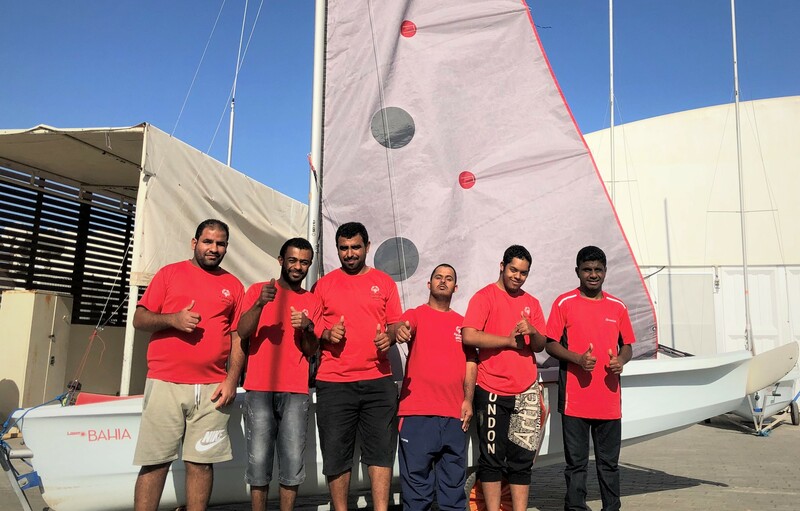 “This new event for us has been a great success and has opened up sailing to a whole new range of students,” said Rashid Al Kindi, Oman Sail’s National Sailing Team Manager. Organised by the Oman Schools Sports Association, the Omantel-supported youth sailors raced in Optimist and Laser 4.7 classes, with the four Oman Sail sailing schools taking part representing three of Oman’s governates. Al Mouj Muscat – representing the Governate of Muscat – emerged as the top sailing school with wins in both classes. 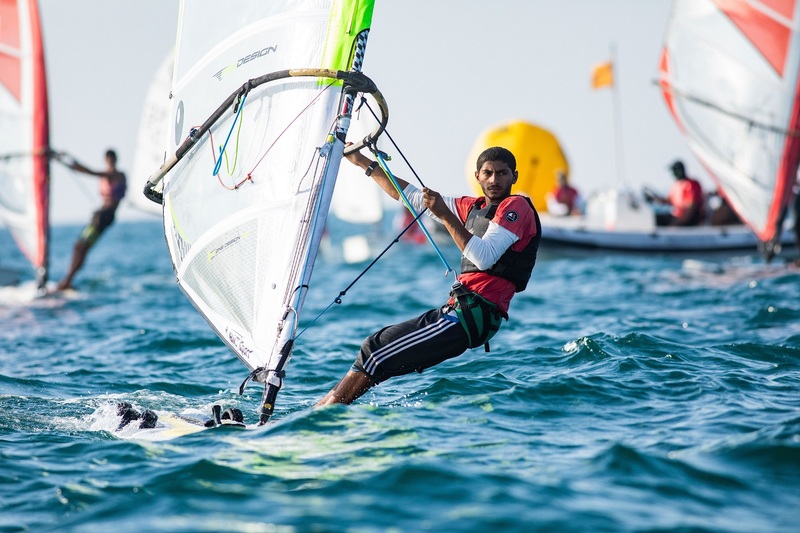 Mohammed Al Qasmi won the overall Optimist class, and Abdulmalik Al Hanai, Adnan Al Mabsali and Hassan Al Owaisi made it a clean sweep of the Laser podium. Al Mouj’s Aya Al Habsi was also the top female Optimist sailor at the event. The Governate of Muscat was also represented by Marina Bandar Al Rowdha sailing school, whose sailors also earned recognition. 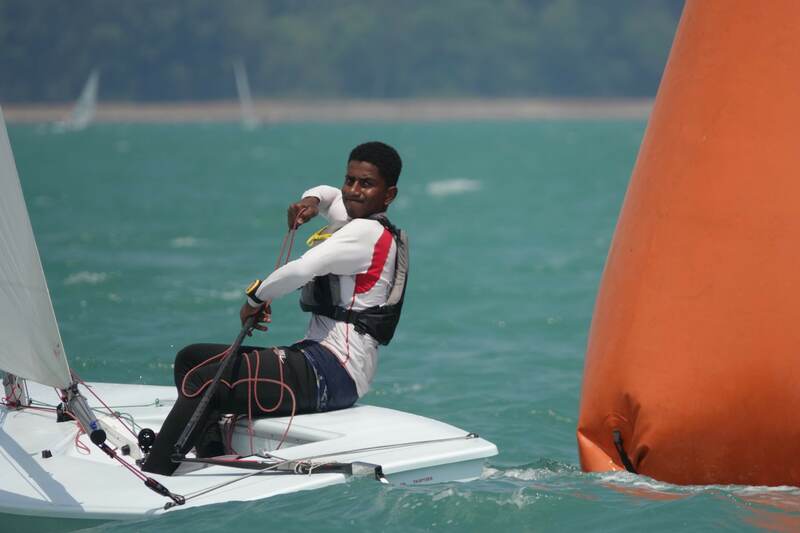 Jihad Al Mashari was the youngest sailor at the event, and Abdul Aziz Al Hasani the best newcomer to a ranking event. Mussanah Sailing School – representing the Governate of South Al Batinah – saw Abdullah Al Balushi named the best Junior Optimist sailor, while Al’Maotasem Al Farsi took second place in the 52-boat Optimist fleet. The third spot on the Optimist podium was taken by Saleem Al Alawi from Sur Sailing School, who were sailing on behalf of the Governate of South Al Sharqiya. All the sailors taking part in the regatta joined the many young athletes from the other School Olympic Days sports at the closing ceremony and prize-giving held at the Sultan Qaboos Sport Complex. The guest of honour at the vibrant event was Dr Dhafir Awadh Al-Shanfari , Chief Executive Officer of the Omani Authority for Partnership for Development (OAPFD). 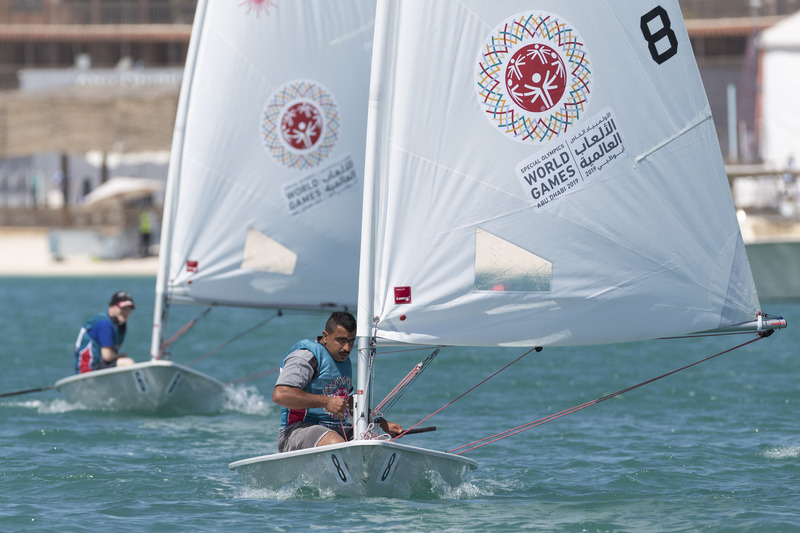 “Oman Sail’s involvement has brought great benefits to the School Olympic Days curriculum and has opened the door to many students to take part in the sport of sailing, with all the lifelong skills that can offer, including discipline, responsibility, leadership and teamwork,” said Ahmed Bin Darwish Al Balushi, General Secretary Oman Sport School Association. “We are delighted and proud to see our young talents engage in a healthy physical activity that is deep-rooted in the country. We congratulate those who have excelled and shown great potential of becoming successful athletes”. The two-day sailing event was preceded by a three-day training camp, which also helped the young Oman Sail sailors prepare for forthcoming international regattas, and saw professional coaching from Didier Charvet and Marco L Superina in the Optimist and Laser fleets respectively.